The purpose of this page is to inform you about paintball games – how it works, rules and safety regulations – as well as what to consider when organising birthday parties, corporate or team building exercises or whatever occasion it is you have in mind. Paintball is one of the most popular Cape Town team building activity and kid’s birthday party idea for a very good reason! 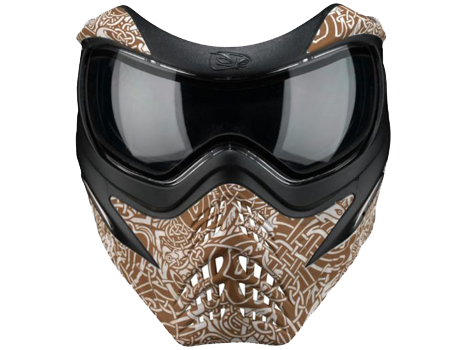 Read on to find out more if you have ever wondered, is there paintball near me? Paintball originated in the 1980’s as an informal, recreational game but has since evolved into a recognised sport with professional players, teams and tournaments across the globe. In certain countries you can make a very good living as a pro paintball player. Paintball in South Africa continues to escalate in popularity. In many countries the military, law enforcement and security companies use paintball games for training purposes, so as to simulate real-life gun fight situations with paintball guns and paintball masks. Some manufacturers even design specialised paintball gear for the Special Forces. Due to the nature of paintball games safety needs to be the number one top priority for all paintball operators and manufacturers alike. The rules are very simple which makes perfect sense as keeping it simple will avoid any grey areas and eliminate any unfortunate incidents. The objective is very simple. Players attempt to eliminate opponents by shooting one another with paintball markers (paintball guns or – incorrectly – paintballs pistols), which are loaded with gelatin-encased balls filled with paint. Markers are powered by either nitrogen or carbon dioxide to fire five to six paintballs at a speed of roughly 300 kilometers per hour. Don’t worry – that’s much slower than firearms, which fire at entry speeds of around 1 400 kilometers per hour. The size of paintball varies from .40 (pea-size) to .68 calibre (as big as a regular marble). Paintball can be played in either indoor paintball arenas or on outdoor paintball tracks, and there are usually natural and/or manmade obstacles that allow players to take cover from enemy fire during those action packed paintball skirmishes. Paintball games can last anything from a couple of minutes to up to a few hours – in some very big ‘paintball battles’ the event can even last for a couple of days with both teams using armoured vehicles, 2 way radios and all other manner of military equipment so as to realistically simulate a real life war. A number of different scenarios and game types can be played, with the most popular ones listed below. Two flags are set up on either side of the field and each team tries to retrieve the other’s flag and bring it back to their own base without being shot while still protecting their own flag. Players are not allowed to move or hide the flag which they are protecting, and both sides must know where the other team’s flag is located. This scenario is awesome for team building paintball as it requires concise communication and team work to come out on top. A simple paintball game, but loads of fun. Both teams start at opposite ends of the field. One flag is placed in the centre of the playing field, with the objective being to retrieve the flag and bring it to the other team’s base without getting shot. This particular variant is a great team building game and very similar to Capture The Flag. This paintball game works on one half of the same principle as Centre Flag Push. The Flag must still be retrieved from the centre of the field, but players must attempt to bring it back to their own base instead of ‘pushing’ it to the other team’s base. One team starts off with a ‘bomb’ – a weighted cardboard box or any other object can be used for this purpose – and attempts to move it to a marked spot on the other team’s base. This team must defend its base from the advancing team. The paintball game ends when players from one side are eliminated, or when the bomb is successfully delivered to its designated spot. Both teams have a bomb and must attempt to move it to the designated bomb spot on the other team’s base, all the while defending their own base from the other team’s bomb. One of the classic paintball war games. Both teams receive a map which indicates the spot on the playing field where a bomb has been placed. In order to win, both teams must try to locate the bomb and then advance it to the other team’s base. When a player obtains the bomb but is shot by a player from the opposing team while trying to advance it to their base, the opposing team wins possession of the bomb. Think of it as rugby on the paintball field. One of the most intense action paintball games there is. Teams are divided unequally, with ‘prey’ having the least amount of players and ‘predator’ the most. It’s up to you to decide how to do this. A good rule of thumb for big groups is to let more experienced players be the prey. Should you wish to do so, however, both ‘prey’ and ‘predator’ teams can have equal amounts of players. First-off, the prey enters the paintball field and hides wherever and however they want. The predator then enters the field and tries to hunt down the prey, while being hunted by the prey themselves! If a predator is shot, they are out of the game. However, when prey is shot they become part of the predators’ team and must attempt to hunt down the rest of the prey. Here it is every man for him/herself. The original fast-paced paintball shooting game! Players write their names on pieces of paper, which are then placed in a shoe box or hat. Everyone draws a card, but is not allowed to disclose whose name they drew. Players then position themselves on the field and must attempt to ‘assassinate’ the player whose name they drew by shooting them with their paintball gun, all the while trying to flee whichever player is hunting them. If a player is shot, they must hand the card they drew to the player who shot them in order for that player to pursue the person whose name is on the card. The game ends when one player is left on the field. However, this player does not necessarily win the game, but rather the player who is left with the most name cards is victor. Each team picks a VIP from their team, who must be protected at all costs from the other team. It’s usually more fun if the VIPs are unarmed, but this is up to players to decide for themselves. Players from each team must try to mark (shoot) the VIP with their paintball guns while shooting any opposing players that get in their way. Once a player is shot he/she is out, and the game ends when the VIP from either team gets eliminated. One of the most nerve-racking action pursuit group paintball games there is! Players line up shoulder-to-shoulder on either side of the field and each player gets to take one shot with their paintball gun at the other team (elect someone to call “fire!”). Players who are hit must step out or fall down, and the rest of the team takes one step forward. The game ends when one team is eliminated entirely. Each team gets to pick a medic to ‘heal’ other players during the game. This person needs to be good at dodging paintballs! They also do not carry a paintball gun. Try to eliminate players on the other team as you would in Elimination. If a player who is not the medic gets shot, they are temporarily out of the game until the medic heals them by touching them. It is up to teams to decide beforehand how many lives each player gets. Once players from one team – bar the medic – are eliminated, the medic from that team must take up arms and is eliminated once he/she is shot. All players’ names are written on a piece of paper and then placed in a hat. Whoever’s name gets drawn is elected as rancid beast. The rancid beast must then enter the paintball field without a paintball gun and has twenty seconds to hide. The rest of the players then enter the field and must hunt the beast down. The rancid beast, in turn, needs to touch players in order to eliminate them or take them into his/her service to eliminate rival players. The game ends when either the beast or all remaining players have been eliminated. Divide teams so that one team is significantly smaller than the other. The small team must then move ‘cargo’ – a box or bag – from one end of the field to the other. The game ends when either team is eliminated, or when the cargo is successfully moved across the field. This is a super fun ‘minute to win it game’ for the office worker and builds camaraderie and communication skills. The paintball game version of cops and robbers. Both teams start out on either sides of the field, with the robbers having to defend their base against the cops. Cops, in turn, must try to eliminate robbers or get them to surrender their paintball guns and walk off the field with their hands in the air. Switch sides once the game ends.